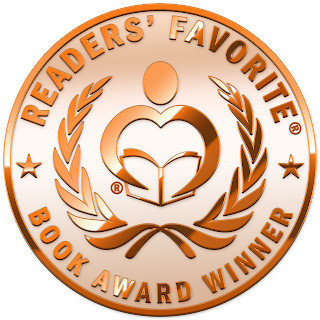 Reader's Favorite recognizes "Election 2064" in its annual international book award contest. Election 2064 makes the Book of the Month club! Featured in the Huffington Post, IndieReader.com highlighted its best books of the month. I'm happy to announce that this included yours truly! Very exciting to be included among such amazing company, please check out all the other amazing honorees! "When's the next one coming out?" "Hurry up already!" I hear some version of these quotes a good amount, as any author should hope to. And they're music to my ears, for your enthusiasm and anticipation keep me going. Rest assured that progress is being made. The first draft in the continuing saga of Elijah Schroeder and company is nearly halfway done, on schedule for release early next year. I can't wait to share all that's in store and the surprises to come. Stay tuned as Book Two's title and cover are revealed in the coming months along with a firm release date. Until then, thank you for your readership, it means more than you can know. All the fun at #TheBookCon, and an award! BookCon 2017 in New York City was an absolute blast. So many people, and so many books! Being my first BookCon, I wasn't sure what to expect, but it was bigger than I'd ever imagined. And, it got off to a great start. I was blown away to receive an IndieReader Discovery Award for best Science Fiction Novel! From now until May 20th, you can win one of two free copies of Election 2064: Book One. There's no purchase necessary, all you have to do is follow me on Amazon - where you'll get updates on new releases and other events! Thanks and good luck - winners will be notified once the contest is complete. 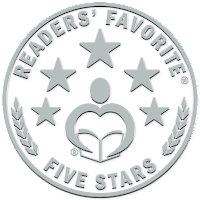 Election 2064 gets a 5-star review from Readers' Favorite! I'm proud to announce that Election 2064: Book One received a 5-star review (that's out of 5!) from the influential review and awards site Readers' Favorite. Full text below. 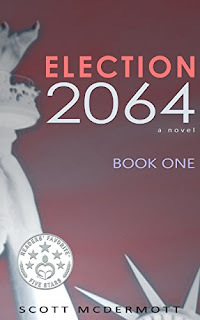 "Election 2064 by Scott McDermott is a fascinating look into the future of American politics. This book follows several characters as they navigate a political landscape that, though rather grim, isn’t vastly different from today’s. It certainly is a lot more treacherous, however. From noble politicians with lofty ideas for fixing a broken country, to super-rich sponsors with their own agendas in mind, Election 2064 follows them all for a full and unbridled perspective. The political minefield includes terrorist attacks, assassination attempts, and well timed entries into the presidential race. In this installment (book 1) no one person emerges as the front runner; rather we are told the story from the beginning of each presidential race. The Aves set sail at the break of dawn. Along the peninsulas that framed English Harbour, Antigua's citizenry had flocked to wish us well. Weathered captains looked to us with quiet hope. Native islanders appealed for blessings from the gods. Maidens waved kerchiefs in the breeze. Free from shore, the water adopted an eerie calm, a blue mirror stretching across the horizon. No signs of life were visible - we'd been left alone on this passage, by human and marine life alike. Left alone, to face the beast. But as we sailed, the beast would not come. 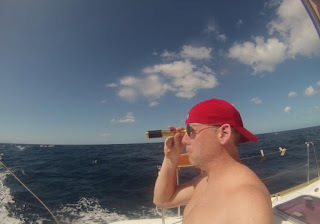 We navigated our vessel southward to Guadeloupe, making good speed despite the light winds. It was as if something was drawing us forward. Come Sail Away With Us! 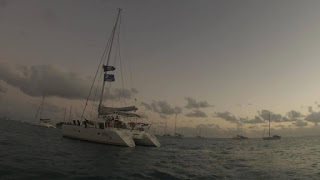 The crew of the S/V Aves pays loving tribute to the rock gods Styx during our sailing adventure in the Caribbean. Be sure to stay tuned until the guitar solo (it's magic) and the landing of a giant sea beast. After a few days in Antigua, word of our quest began to spread. 'You seek the Marmodon?' asked the salty owner of the Drop-In Bar. She branded us as fools, but then again she was a bartender who refused to make cocktails and had the bar closed on weekends. Our fortunes turned when both Travis and Jimmy recognized a gargantuan, 80-meter yacht berthed in Falmouth Harbour. Wasn't that same boat moored in our hometown of Norfolk, Virginia, just a few months ago? Known as the M/V Skat, it'd made quite a bit of news for both its massive size and unique, angular design. 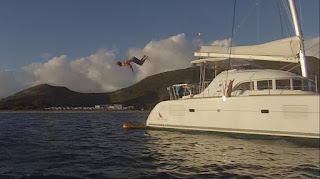 A few months ago, a group of friends chartered a sailboat for a 10-day jaunt around the Caribbean - including Guadeloupe, St. Kitts & Nevis, and Antigua. Brace yourself, for here is the first chapter in our adventures. Many thanks, IndieReader, I greatly appreciate it! To see the full list of 2017 IRDA entries (lots of good books in there! ), click here. 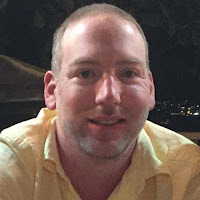 Welcome to my author website! 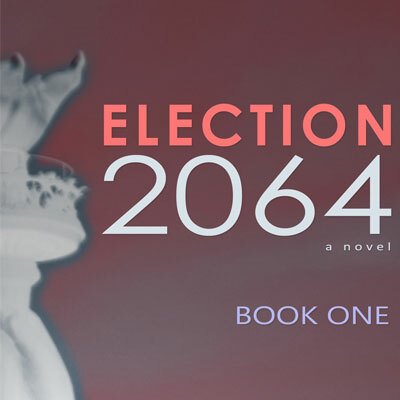 A quick shout-out to all those that have read, rated, and reviewed Election 2064: Book One. Thanks so much, I appreciate the feedback.